Let’s face it, Summer’s just not going to happen this year, is it? With that in my mind, can Autumn hurry itself up, please. I quite fancy a change of wardrobe scenery. Tights (currently not an option) would work a treat with my new shoes, thanks. Heavens, I hope you’re listening. I’m working all weekend. However, the boy and I have both got the same day off next week (rare) and so we’re planning to go out (rare!) for some sort of food in town (I say ‘some sort of’ when clearly I mean ‘pizza’). I believe they call it date night around these parts. Urgh, I could hardly bring myself to say that. Any excuse to eat pizza, I say. 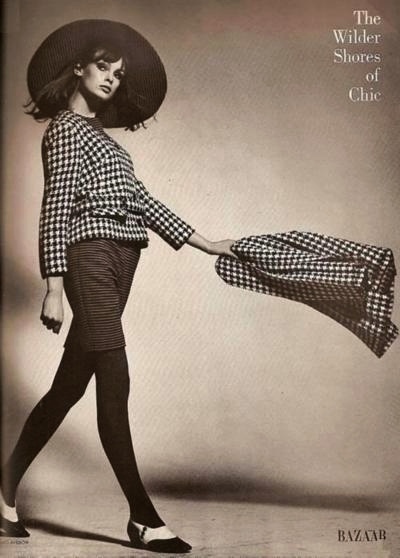 And for now, a tenuously related photo (entirely unrelated – it just looks good/autumnal) of Jean Shrimpton. Look, she’s got new shoes too.